– An election for president of the US occurs every four years on Election Day, held on the first Tuesday after the first Monday in November. 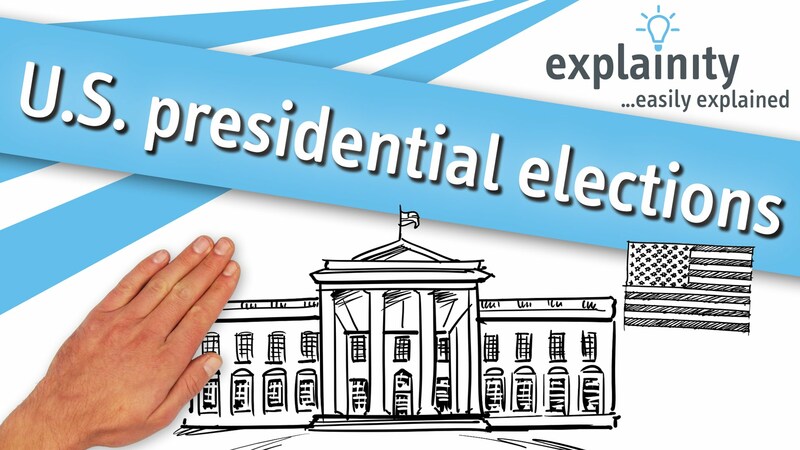 The 2016 Presidential election will be held on November 8, the last possible date (November 2 is the earliest). – The President and Vice-President are elected every four years. They must be at least 35 years of age, they must be native-born citizens of the US, and they must have been residents of the US for at least 14 years. Also, a person can be elected as President to only two terms. – During the election, Americans from each of the 50 states and the District of Columbia head to the polls to cast their vote for President. But the tally of those votes — the popular vote — does not determine the winner. Instead, presidential elections use the Electoral College — a process by which the President and the Vice President is chosen by “electors”. To win the election, a candidate must receive a majority of electoral votes. – The number of electors each state gets is equivalent to the number of members of Congress (House and Senate, together) from the states plus three from District of Columbia. There are, thus, a total of 538 electors. Each state’s political parties choose their own slate of potential electors. – After the ballot is cast, the vote goes to a state-wide tally. In 48 states and Washington, D.C., the winner gets all of the electoral votes for that state — which means his or her party’s electors in that state will vote in the Electoral College for the winning candidate. select one elector within each congressional district by popular vote and the remaining two by a statewide popular vote. – A candidate needs the vote of at least 270 electors — 50 per cent plus one — to win the presidential election. – Although the actual vote of the Electoral College takes place in each state between mid-November and mid-December, in most cases, a projected winner is announced on election night. – If none of the candidate can secure the 270-majority, the decision would go to the House of Representatives, which would vote to elect the new President. A similar process would take place in the Senate to elect the Vice President from among the top two top candidates. – Once the results are out, next is the Inauguration Day. Inauguration Day occurs every four years on January 20 (or January 21 if January 20 falls on a Sunday) at the US Capitol building in Washington, DC. On this federal holiday, the President-elect and Vice-President-elect are sworn-in and take office. – The Vice-President-elect is sworn in first, and repeats the same oath of office, in use since 1884, as Senators, Representatives, and other federal employees. – Around noon, the President-elect takes his oath. – The inauguration is planned by the Joint Congressional Committee on Inaugural Ceremonies. Nine common activities typically occur: morning service; procession to the Capitol; Vice President’s swearing-in ceremony; President’s swearing-in ceremony; inaugural address; departure of the outgoing President; inaugural luncheon followed by a parade and a ball. Only one activity is mandated by the Constitution — the oath. Rest are all traditional activities.